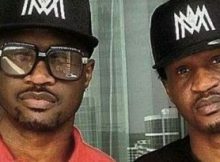 Paul Okoye is not done talking about his breakup with his twin brother. A fan took to Twitter to advise him to stop fighting with his brother saying that he can’t do music without his brother. Paul replied that he has been doing it alone but the public was only deceived by videos and photos (which featured two brothers).